The Astro app, recently bought by Slack, was an attempt to bring intelligence to workplace communications. 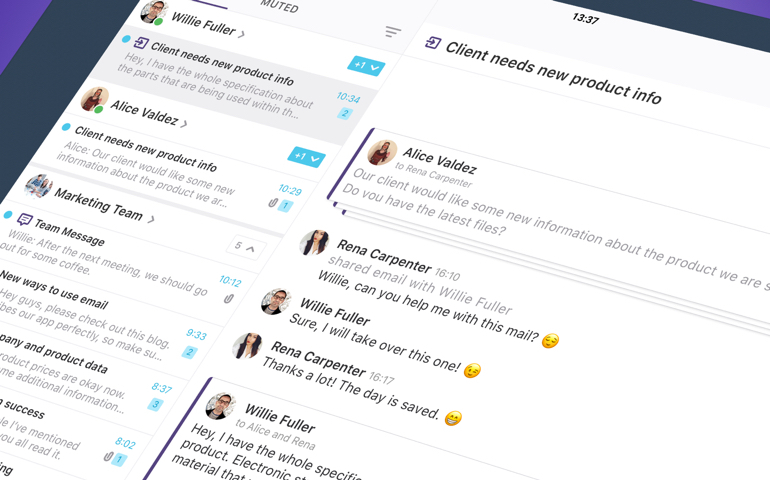 Since they launched in 2015 the Astro developers were focused on improving email – because they (and we) know that email continues to be the critical way to communicate in the workplace. 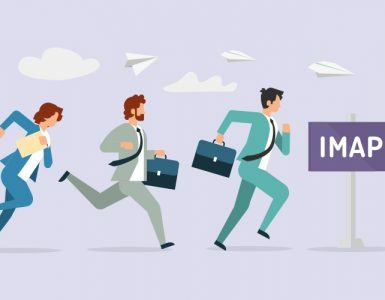 Having said that, email still remains noisy, unorganized, and distracts us from doing our best at work – therefore it still needs to be the focus of all business to improve this crucial tool. Astro sounded like it was on board with improving work communication at first. Its intelligent assistant helped you sort through your messages and elevate important items to your attention. We all agree that Astro was great for personal organization but that doesn’t necessarily make your experience of collaboration and communication any better. Loop is on a mission to change emailing by helping it become collaborative, real-time and organized around people, teams and apps – and since Slack acquired Astro last month, recently announcing its closure as a standalone app, here’s five reasons why Loop is the solution for Astro lovers looking for a new email focused home. The key to collaboration is ease of communication. Whether you need support from your team for your latest customer request or you’re just looking for a quick approval. 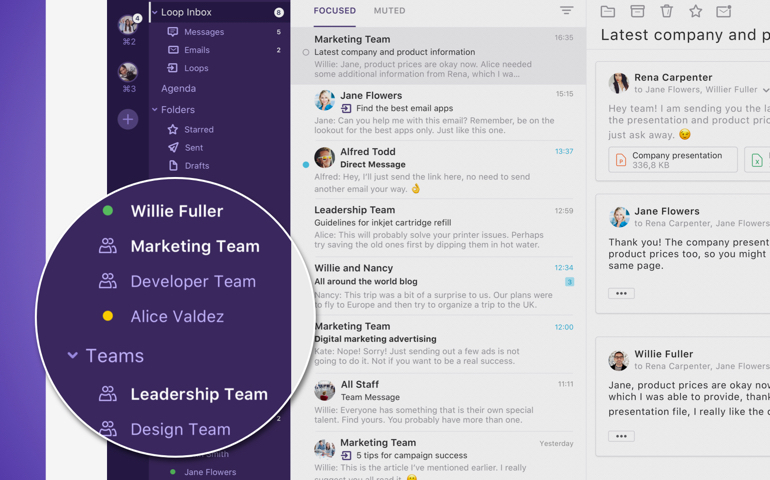 Looping-in enables you to share emails and get the power of your team behind you to put in front of any customer in real-time. It means your team is all on the same page – and email – without the need for multiple threads or conversations. Loop in your co-workers or the whole team. Email is where your business happens – any other programmes like Slack that you use to communicate or share information are usually an add on. So why not store and share all within a streamlined and efficient inbox? With Loop you can organize your work into auto-populated people channels. Find all business emails, chats and files organized automatically minimizing any set-up time. Loop enables you to create a team with the people you interact and work with the most. All you have to do is choose a name for your team, add their email addresses and create the team. Then you will have all messages, files and emails in the channel of that team and you won’t have to switch between different apps to get the work with your team done. Simple to set-up and implement, working seamlessly with your existing inbox. Organize your emails into channels. With Loop you can work on projects in real-time anywhere and anytime. Where email can be at its most frustrating, is sending an email off and never knowing when (or if!) it will be read. 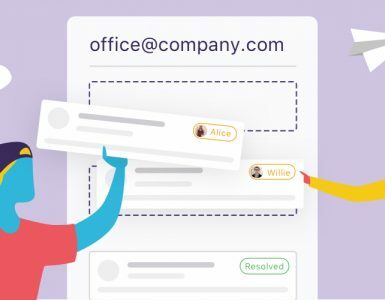 With Loop you can see who is online and available so you can share emails and work on them with other people instantly. It’s email at its core, but with the added super power of live chat. 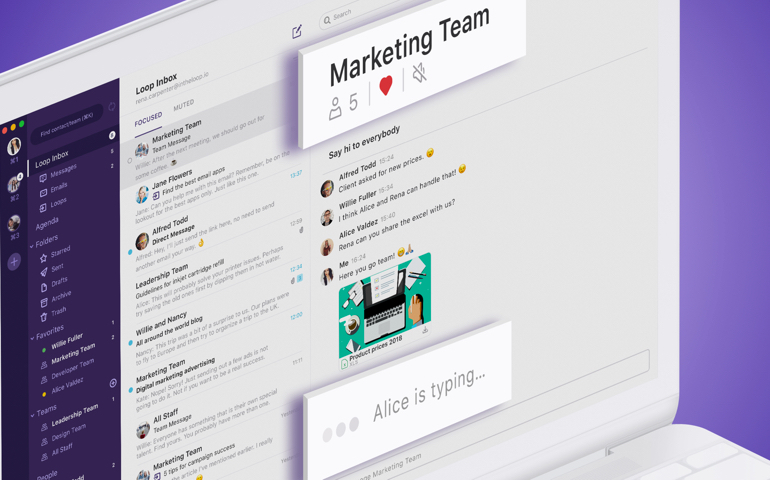 Loop inbox lets you triage emails, messages and loops all in one smart way, auto-categorized by the people and teams that are important to you. Discover the batch actions that make triaging a breeze, whether it is just marking several mails as read or archiving/deleting them. Navigate easily to your chat and email history with any person or team and quickly access all of the files exchanged with them too. Seamless collaboration on one screen. So even though the dedicate email app, Astro, is shutting down to become an add on within Slack, Loop is ready and waiting to support you and your team. All Loop’s features have been developed focused on the reality that email is and always will be, at the core of your business. Unlike Slack who’ve been trying to persuade you to shut down your inbox for years. Loop’s features focus on ease of collaboration and communication and importantly quick to set-up. Loop is available for free on www.intheloop.io/download. 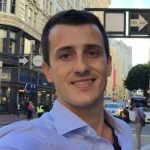 Jernej Pavlič is the Head of Growth @Loop Email and helps you get things done with your team. Managing email accounts as a team? Don’t miss our new Shared Inbox feature! 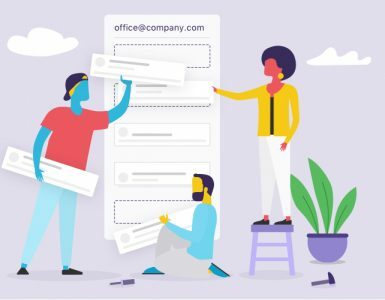 Do multiple people in your team manage the general company email account (info@, office@ or support@)? Do you lose a lot of time trying to keep it in order? Then you need to try our Shared inbox. In April 2019 Loop Email will enable Shared Inbox. Public or shared email accounts such as; info@, office@ or support@ can then be easily managed by more than one person at the same time. IMAP users welcome to Loop Email! How to bridge the generation gap in your team? 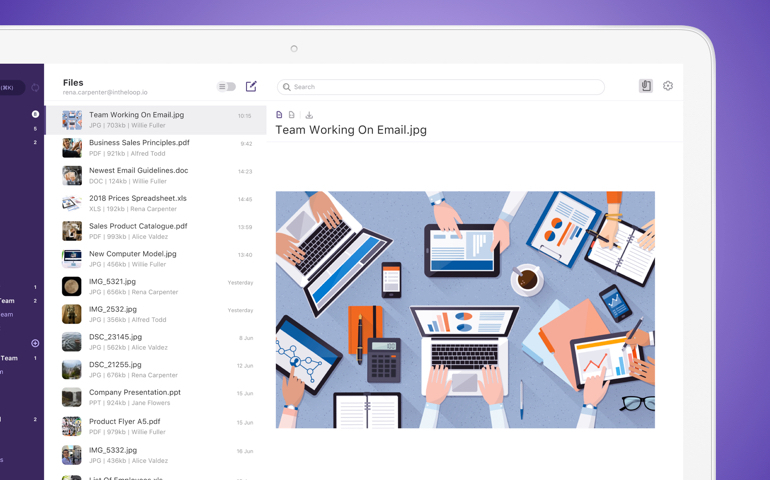 Loop Email is the email collaboration app where teams can talk about work and get things done while having fun. Like this blog for instance.